This is a good one to play before the warm-up. 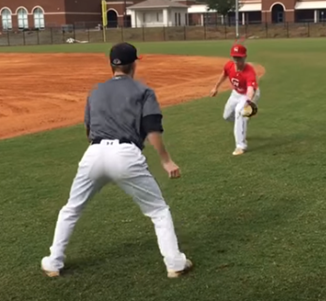 This drill does not do much on improving a player’s skills, but it does something better than that—it creates some friendly competition and great team camaraderie. If done right, the game will be intense and it will psyche up and unite your players before they go to work on the field. Players can only flip the ball with their glove (not their throwing hand). Can bounce the ball in their glove until the flip to the next player. Must pass the ball between the next player’s knees and shoulders. Players decide how many drops or missed throws before a player is out. May come in handy for instance if second baseman needs to flip to first base. Two players approximately 5 yards apart. See how many glove flips they can do in 20 seconds. In this case, they are catching the ball in glove before they flip the ball. Over the years, this drill has become a classic and has come to have several variations of play. The point is for the hitter to hit the ball hard. 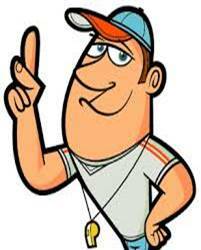 That, coupled with the short distance, will teach the fielders to react quickly to a ball hit off the bat. Line up about 5 to 7 players in a line facing a batter about 20 feet away. 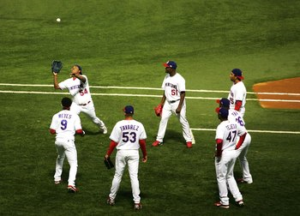 One of the players will start by tossing the ball to the hitter. Batter must hit a solid ground ball or line drive to the group of fielders. If a player bobbles the ball when it is hit at him, then that player is out. The last fielder standing will be the winner and get to be the hitter next. This drill will simulate the motions that fielders go through when relaying the ball from the outfield to a base. Players will learn how to line themselves up for a throw and develop quick hands. Divide your team into even groups of 4 to 6 depending on the size of the field and your players’ throwing capabilities. 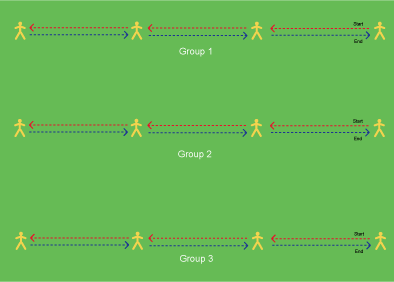 Have each group line up parallel to each other and spread them across the outfield. Have each group start with the ball on the same end. Make it a competition on what group can relay the ball to the last player and back the fastest.